The argyle pattern was developed by fiber crafters in Scotland over 500 years ago. Scottish writer Sir Walter mentioned the pattern in his writings, according to Scotland Source. 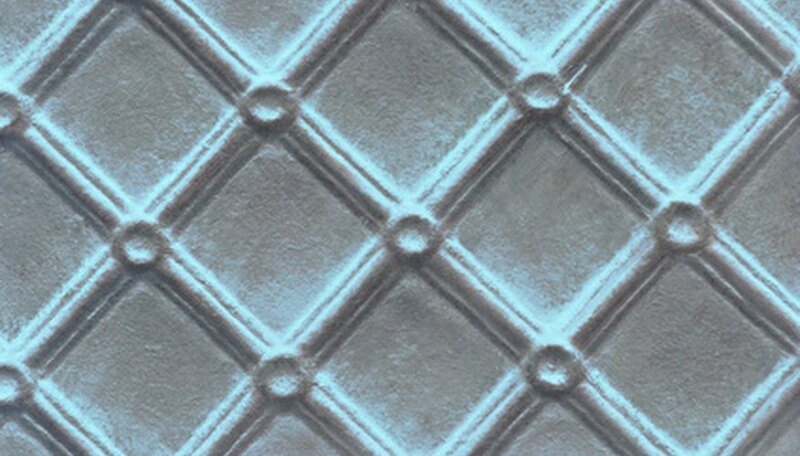 The elongated diamond pattern is still favored in modern times in clothing and home decor. Paint argyle patterns on home crafted projects, flooring or walls. The diamond over diamond pattern is successful when it is level and measured correctly. The true argyle pattern has an X-shape thinly detailed in over the diamond shapes. Buy three paint colors for the argyle pattern. Choose two complementary colors for the diamond pattern and a third color for the defining X-shape. Make or purchase a diamond shaped stencil that will be the appropriate size for the argyle painting project. Draw a straight guide line across the project, furniture piece, wall or floor, using a level and measuring tape. Stencil a row of diamond shapes across the project using the pencil line as the guide. Make a second row of diamonds under the first row. The points of the first diamonds will be even with the center of the second diamond row. Continue adding rows of diamonds until the area is completely filled in. Paint the outlines of diamonds with the paint brush. Fill in the interior area. Alternate colors to create the argyle pattern. Allow the painted diamonds to dry. Use the measuring tape or straightedge to mark the X-shapes over the painted diamonds. Paint over the marks with a thin line of paint to finish the pattern. Add personality to an argyle pattern by changing the straight lines to wavy ribbons, chain links or a feathery evergreen bough or fern pattern. Add balls, bows or flower blossoms at each point between the rows of diamond shapes.